Do you have driveway envy? The neighbours of some recent clients had it after we installed a brand-new pattern imprinted concrete driveway next door to where they lived. The driveway was to the front and side of the client’s house. They lived in the Brooklands area of Manchester. 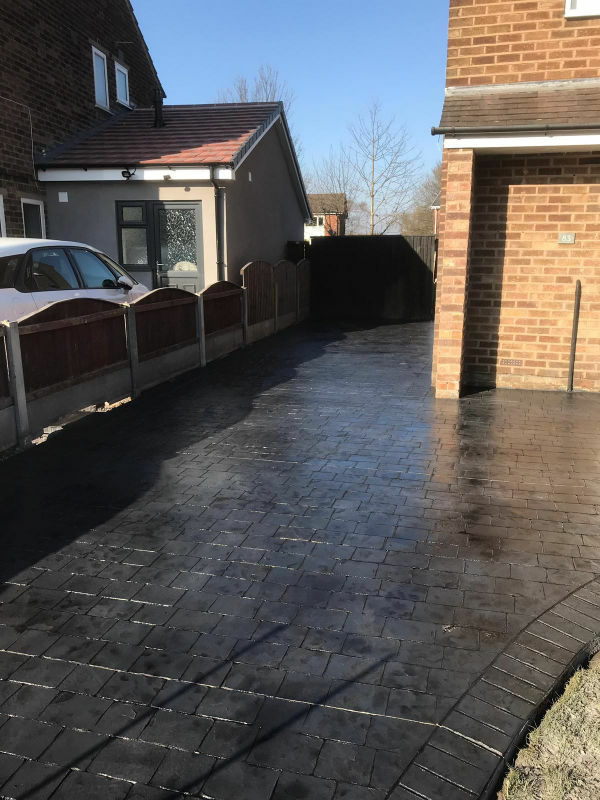 From the wide range of options available our clients chose to have the driveway in standard London cobble and coloured in classic grey with charcoal release. A mid sheen seal with anti-skid completed the job with a high-end finish. We were able to create a lovely sweeping curve along the edge of the grass garden. That’s one of the advantages of having pattern imprinted concrete – you can have curved edges! A different pattern was used to define the edge of the driveway which you can see from the photographs included. In addition, we added a nice half-moon step at the front door. 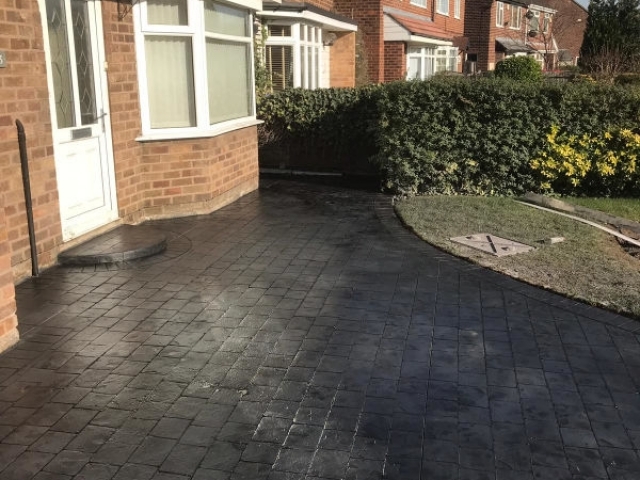 We also installed an Aco drain close to the border of the driveway with the footpath in order to ensure that any surface water had somewhere to escape, this made the driveway SUDS (sustainable urban drainage system) compliant. 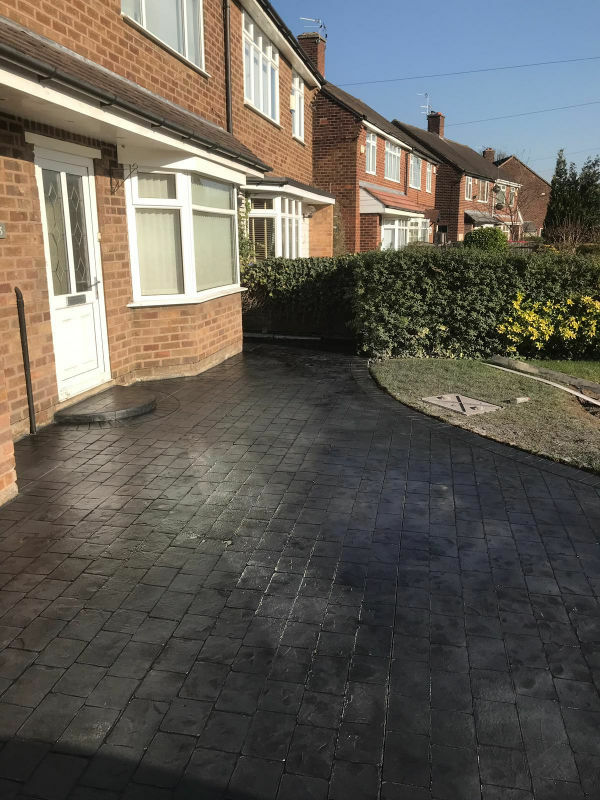 When a new driveway is put in it much ensure that there is free drainage available. 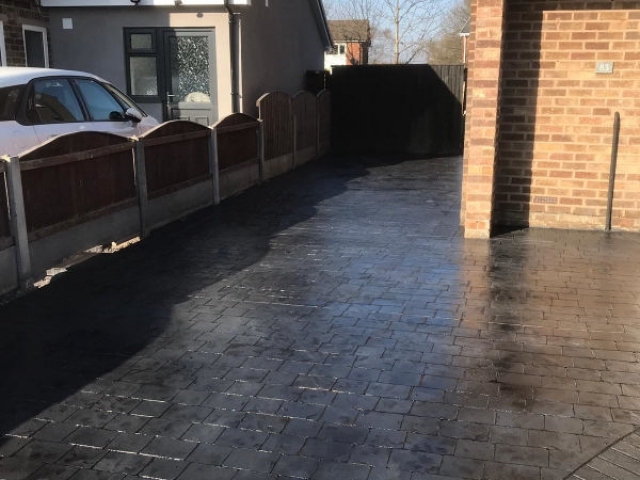 Our clients loved their new driveway and their neighbour was so impressed they asked us for a quote. They were particularly impressed with how clean we ensured the area was kept while doing the work as well as how professional we were! To see how the outside of the house was transformed, take a look at the photographs included. 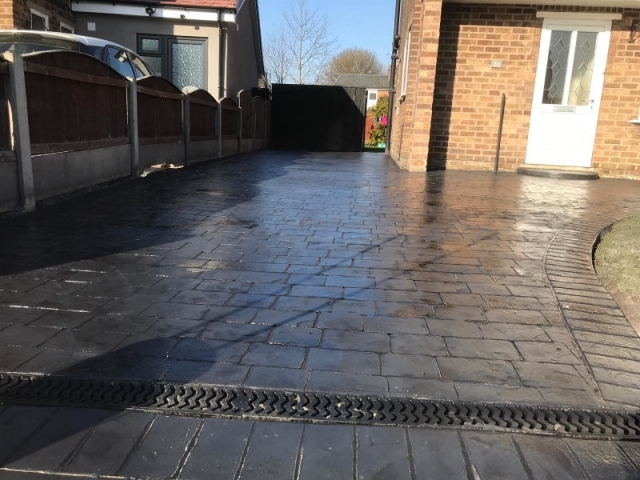 If you are considering having a new pattern imprinted concrete driveway and want to talk through the options available, of if you have seen your neighbours new pattern imprinted concrete driveway and want the same, give Lasting Impressions a ring on 0161 980 8822.